Hey Buddy!, I found this information for you: "TreX 2018-19 Entry Specials". 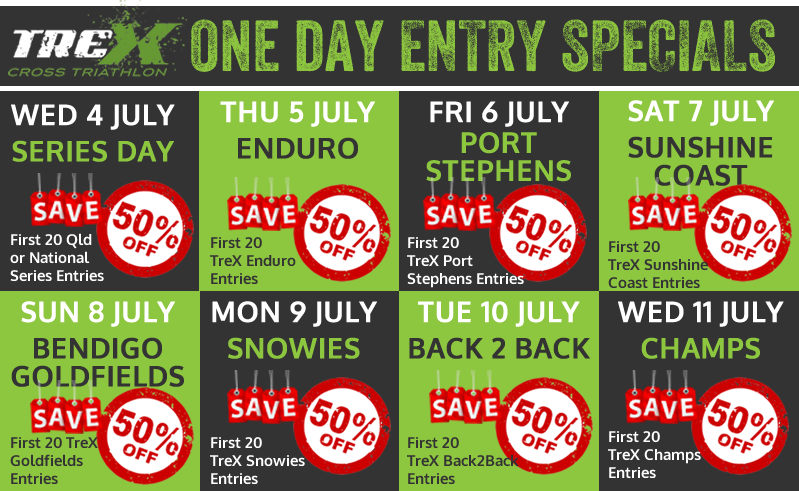 Here is the website link: https://www.trextriathlon.com.au/trex-entry-specials/. Thank you.